Arts & Crafts inspired bath vanity. 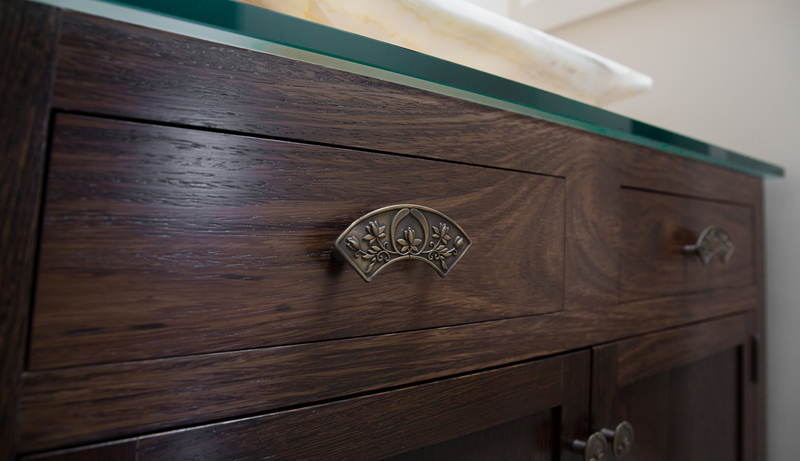 Displays multiple materials: wenge wood, lacquered copper surface beneath thick polished glass counter and bronze lotus flower hardware. 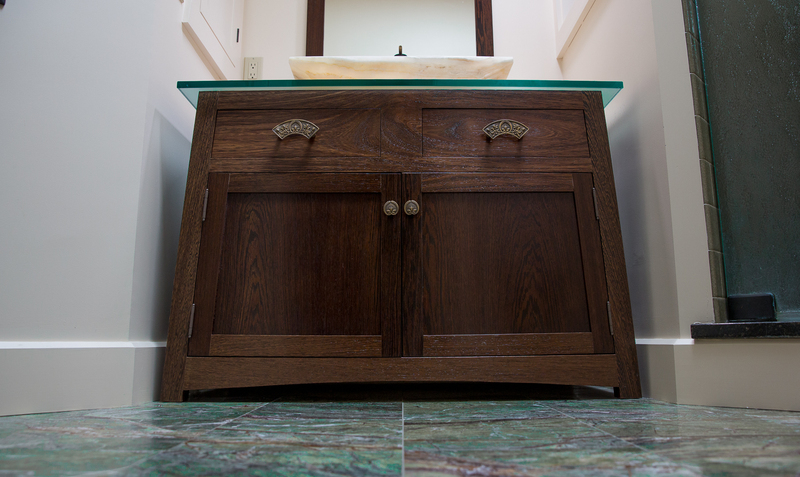 The bold wenge grain is finished with a durable water-based urethane. This is a beautiful table anywhere in your home without plumbing.